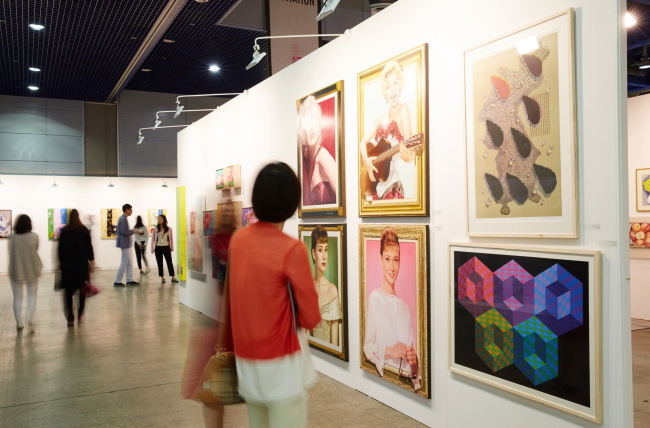 The Seoul Open Art Fair returns to Coex in Samseong-dong for its 11th edition, running from May 10-14. 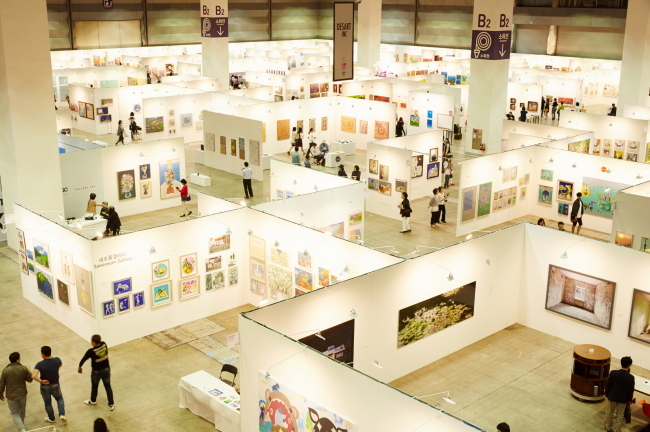 A total of 90 Korean and overseas galleries will be participating in the country’s second-largest art fair, presenting some 5,000 pieces of art by 4,000 artists. In keeping with its reputation as an event to discover emerging artists, the art fair each year selects talented young artists through a contest. This year, 21 young artists working with diverse mediums will be introduced at the fair. The fair will also highlight 100 Korean sculptors whose works will be on view at a special exhibition space with a separate section dedicated to showcasing wooden sculptures by Eom Tae-jeong. Works by major Indian artists, sponsored by the Indian Embassy in Seoul, will also be at the show. Extending its reach to fields of design and architecture, the Seoul Open Art Fair will present handmade furniture and crafts, sculptures and installations by designers and architects. The subsection Design Art Work will present unique installations by Hong Kong-based architect William Lim and French designer duo AVAF. Four Korean designers will present furniture and home decor items. Another art-meets-design exhibition will highlight artworks by French fashion designer Jean-Charles de Castelbajac that offer a glimpse of his world of fashion design. In line with the continuing popularity of Korean monochrome paintings, the fair will hold an exhibition of two Dansaekhwa artists – Chung Sang-hwa and Seo Seung-won. Lectures and guided tours are available. Guided tours run every 30 minutes from 1 p.m. to 4 p.m. Tickets are 10,000 won for adults and 8,000 won for students and groups. For more information, visit www.soaf.co.kr.